If you’re a freelance coder you most likely have a PayPal account. One of the most useful feature provided by PayPal for anyone looking to automate their ordering process is the Instant Payment Notification. This guide will show you how to utilize IPN with a PayPal ‘Buy Now’ button and PHP. Additional tips to further secure your ordering process are also discussed. In a nutshell IPN is PayPal method of instantly notifying your server of a payment. This can either be setup globally for all transactions on your account, or can be provided for a specific button or subscription. Paypal sends details of the transaction to your server at the provided url. Your script compiles the information provided and sends it to Paypal’s verification server. Paypal’s server will either verify the information as valid, or will reject it as invalid. If considered a valid transaction, process the information as needed, otherwise discard and ignore. 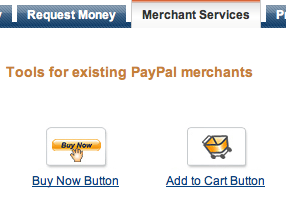 Once logged into PayPal you should direct your attention to the Merchant Service. The “Buy Now Button” will be sufficient for a one-time-purchase of an electronic or tangible product. The button can be setup as a simple buy now button for a single purchase with no options, or can be setup with drop down for product choices or other options. Either way there is two key settings you will want to use when creating your button. Select Secure Merchant ID as means of identifying the account as opposed to an email address. This will not only help prevent automated spam attempts but will also help prevent fake transactions (more on that later). You will also need to add the following line to the advanced option. The url will be the destination notified in the event of a payment or related transaction. Normally you don’t want to call it something as obvious as ipn.php in the root of your site, rather bury the script in a folder and give it some other name such as txn1.php. Once you have created your button and generated the code to be used on the site you will want to setup your IPN script to save the necessary transactions.